As Japan gears up for the 2020 Olympics, they take great comfort from the success of their athletes at the 2016 Rio Olympics. Japan finished sixth in the medals table with 41 total – the country’s best showing ever. But as the country prepares for the 2020 Paralympics, they were stunned that Japan could not garner a single gold medal at the Rio Paralympics, finishing 64th out of 76 in the total medal count. It made me wonder, what are the factors that contribute to success at the Paralympics, at least in terms of medal haul. A quick analysis indicates that a robust economy, established leadership, focused funding, and strong societal commitment to fair and reasonable accessibility for the disabled. Robust Economy: China, Great Britain, the US, and Australia were in the top five in the Rio Paralympics, which suggests that a success factor in the Paralympics is a strong economy. However, Japan as a case in point indicates that a strong economy is not the only factor. Established Leadership: The Ukraine is not an economy nearly as strong or stable as the others in the top five. Their success, according to this BBC report, is because Ukraine has strong leadership, in this case, a person who designed and powerfully drove a national program that focused on the development of young people with disabilities. Ukraine were 31 places below Team USA in the Olympics medal table, but one place above them at the Rio Paralympics. They are reaping the rewards of foundations set by Valeriy Sushkevych, founder and president of the Paralympic Committee of Ukraine, who helped develop a physical education and sport programme for young people with disabilities. Focused Funding: Strong leadership needs access to funding. When BBC compared the success of China and the US in paralympic competition, they noted that China’s paralympic development programs have access to significant funds, while the US paralympics train under constant financial constraints. The USOC runs its funding on a corporate sponsorship model, and does not receive government funds. The Chinese model is entirely government supported. The way the funds are divvied up between athletes for the Olympics and the Paralympics differs greatly as well. With money raised through sponsorship deals with major brands such as Coca-Cola, McDonalds and Visa, USOC hands out about $50m (£39m) a year to US athletes across different sports, with the Rio Paralympics team receiving about $4m (£3m). Meanwhile, the Chinese government is aiming to develop a £647bn sports industry by 2025 and in recent years has increased its investment in sport, including football, Olympics and Paralympics. As of 2016, China has trained more than 42,100 fitness instructors for the disabled and has built 225 provincial and 34 national specialised sports training centres. The China Disability Sports Training Centre in Beijing, opened in 2007, also provides state-of-the-art facilities for disabled athletes. Strong Societal Commitment: Also with strong leadership may come a strong, broad-based commitment, not just by governments or organizations devoted to the development of sports and athletes, but also by society. When laws are enacted to grow awareness of and increase access for the disabled, then society becomes more open and supportive. One can conclude that hosting the Paralympics acts like an accelerant for commitment to the disabled. Before Brazil, the previous four nations to host the Paralympics were Great Britain, China, Greece and Australia. Except for Greece, Great Britain, China and Australia were in the top five of the Rio Paralympics medals table. 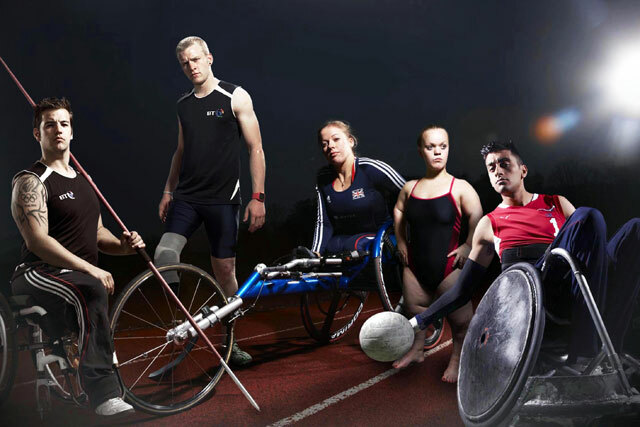 The investment in Paralympic success was abundant in 2012 for TeamGB. The same was true for China in 2008. The assumption is that Japanese authorities will aim not only for success for Team Nippon in the Olympics but also the Paralympics. Clearly, hosting the Olympics and Paralympics is tremendous incentive to make significant investments. And with the country’s pride on the line, the investment will flow, perceptions will shift, rules and laws may change, and Japan, by 2020, may become one of the most inclusive nations in the world. My guess is that Japan will do very well in the Tokyo Paralympics as well. Posted in Paralympics, Rio Olympics, Tokyo 2020 and tagged Paralympics. Bookmark the permalink.